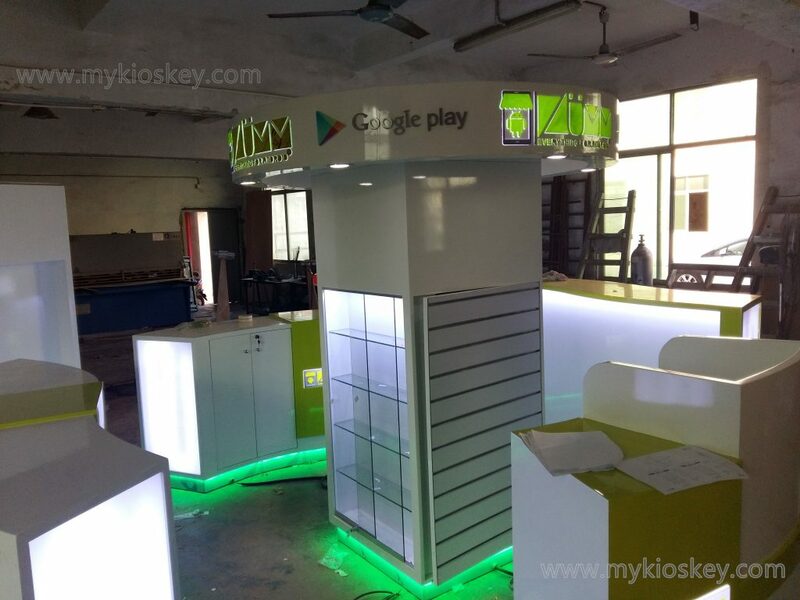 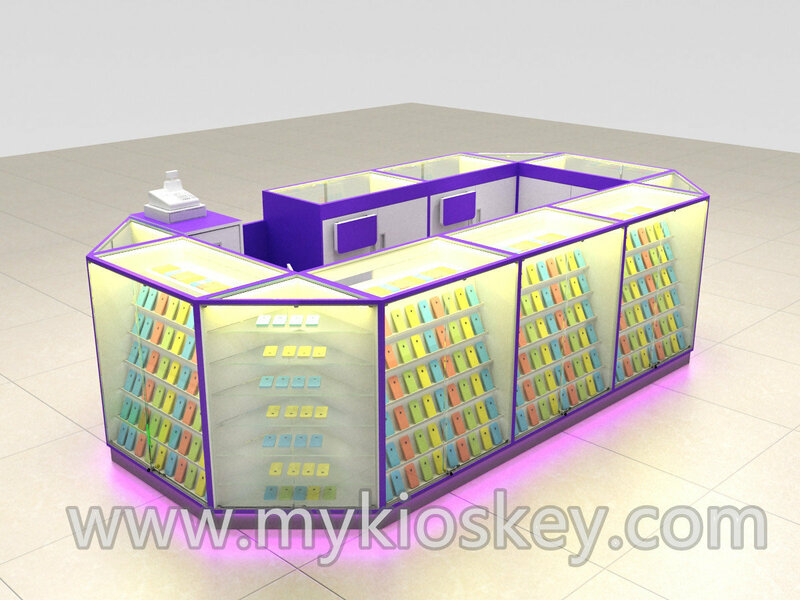 myidea professional custom simon mall cell phone display stand , below this set cell phone display stand, it is for mall simon mall , design is very fresh and modern , style also is very open , we make a round columns in the middle with glass display shelves , each display stand all is crooked shape. 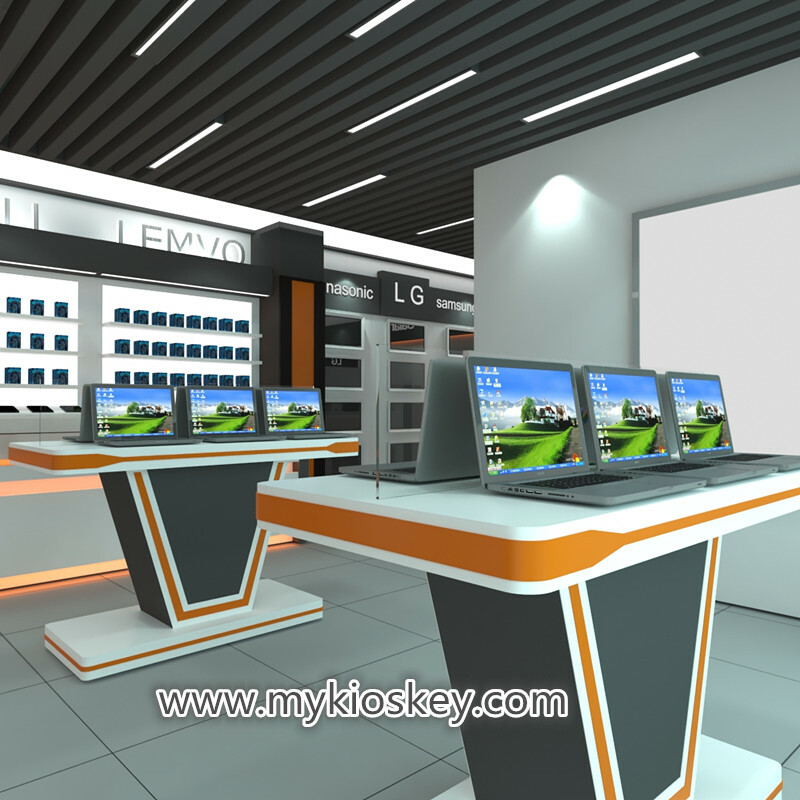 lemon color with white is very elegant and nice-looking , do you like our design ? 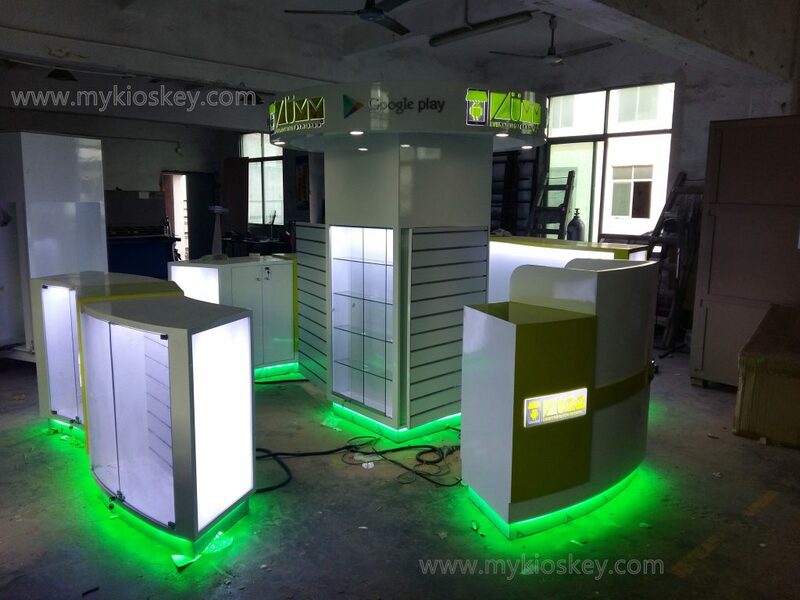 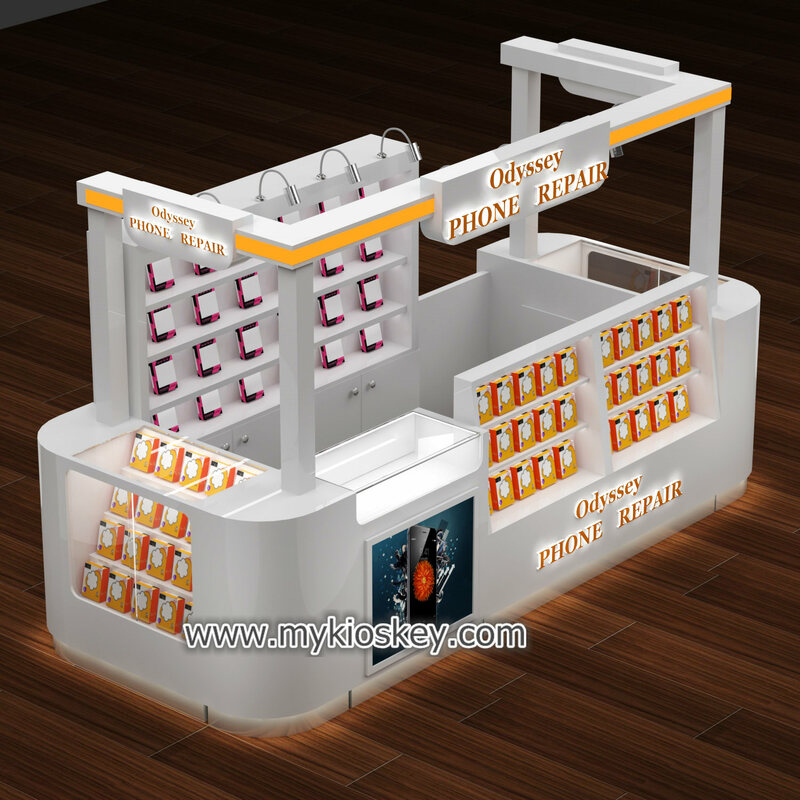 how customize a style suitable own cell phone display stand ? 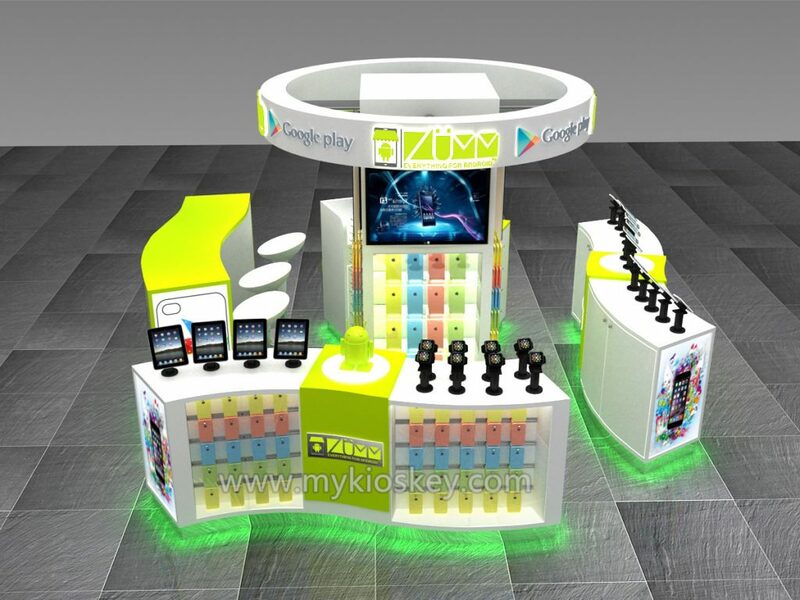 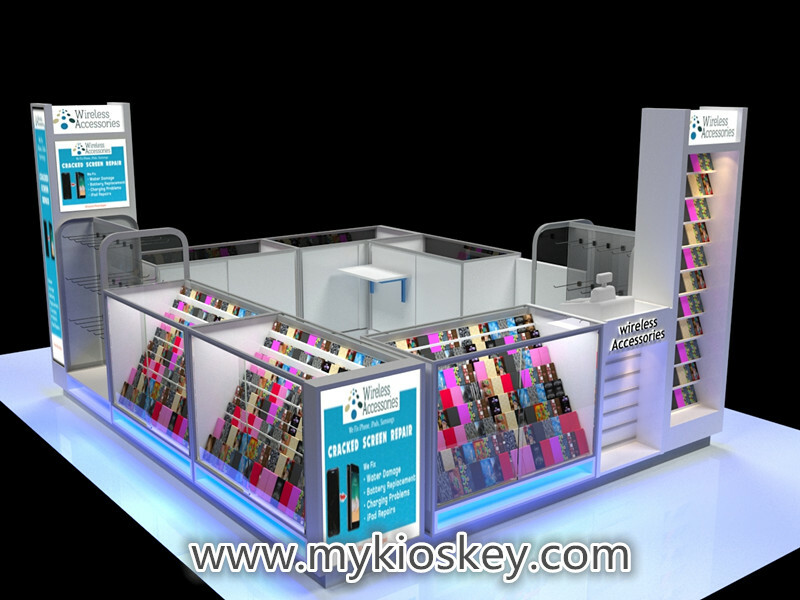 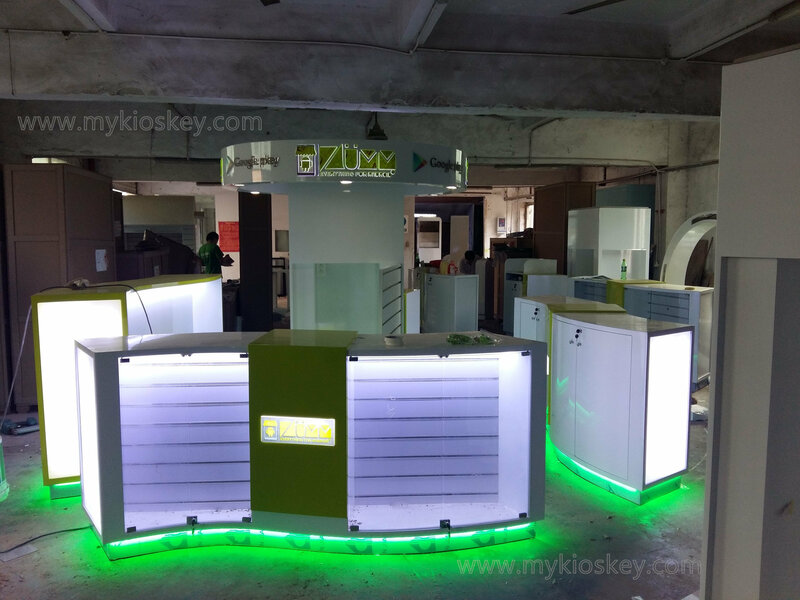 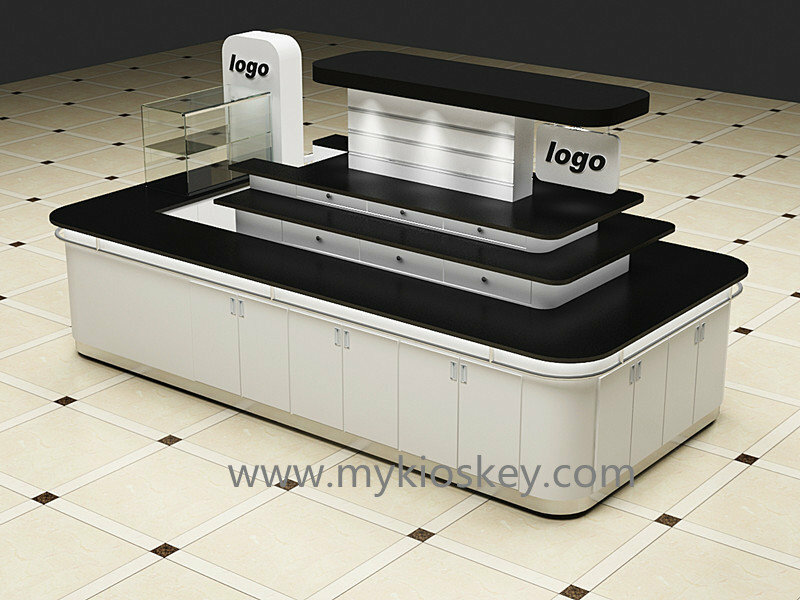 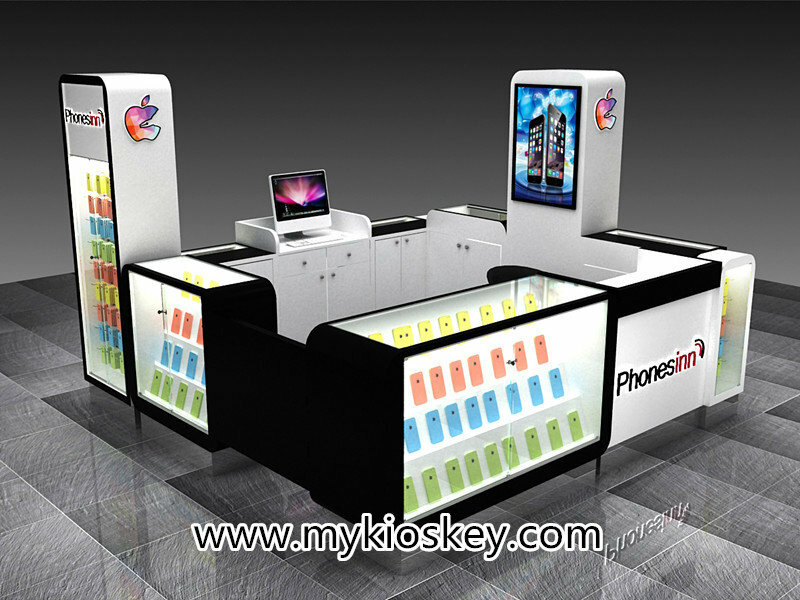 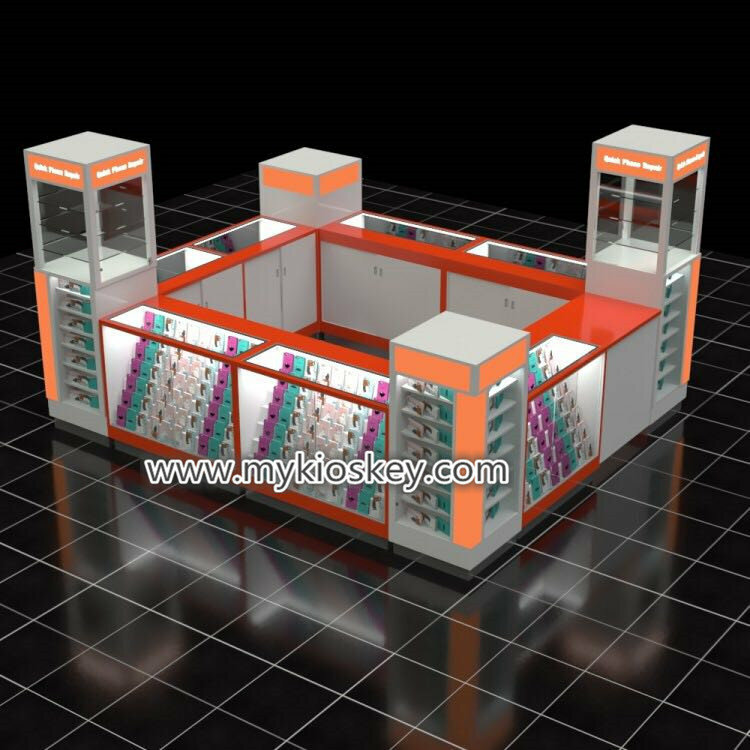 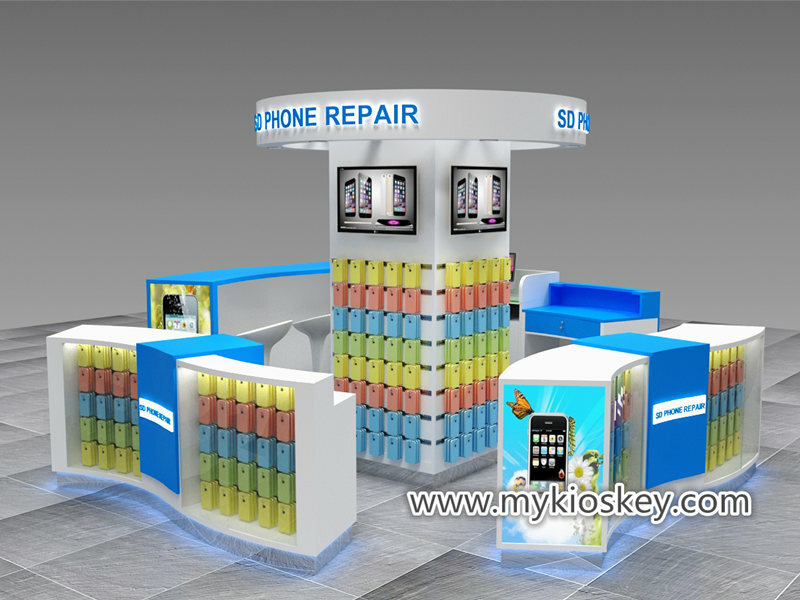 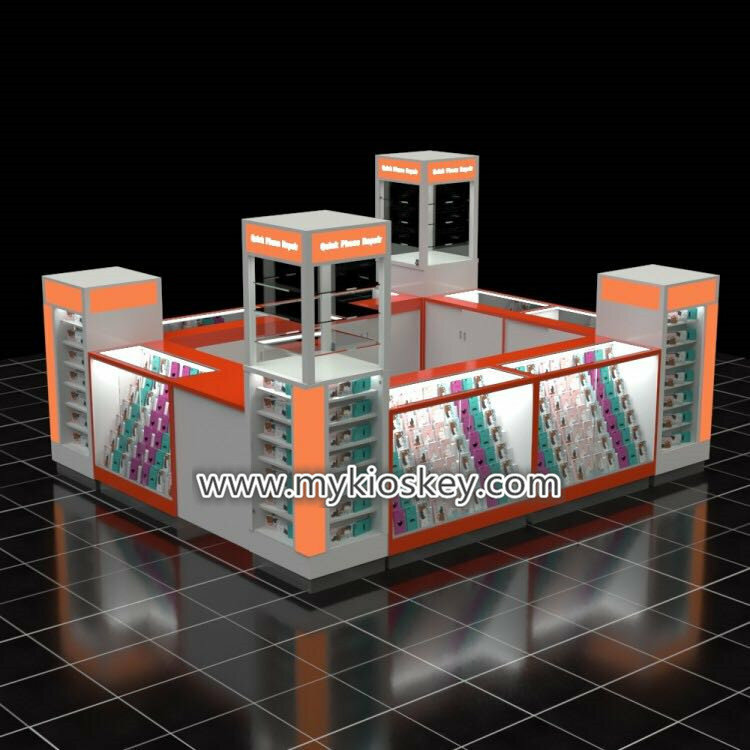 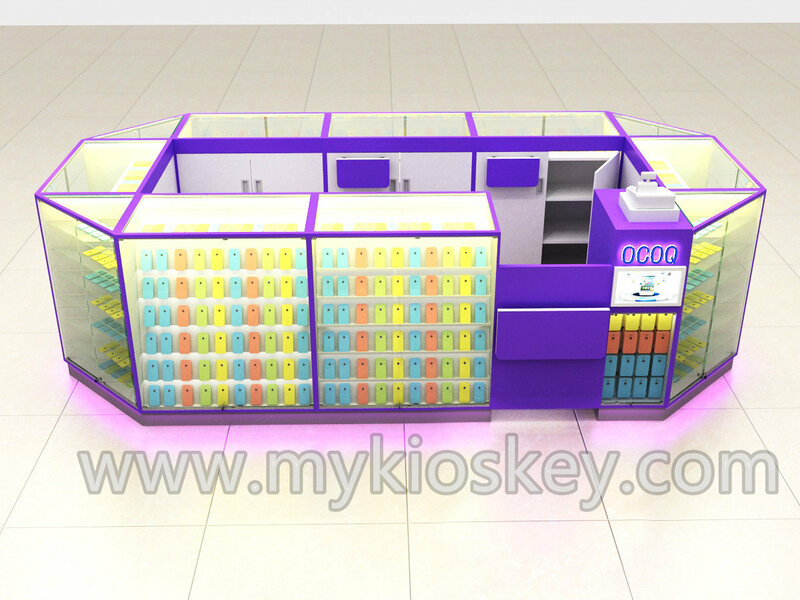 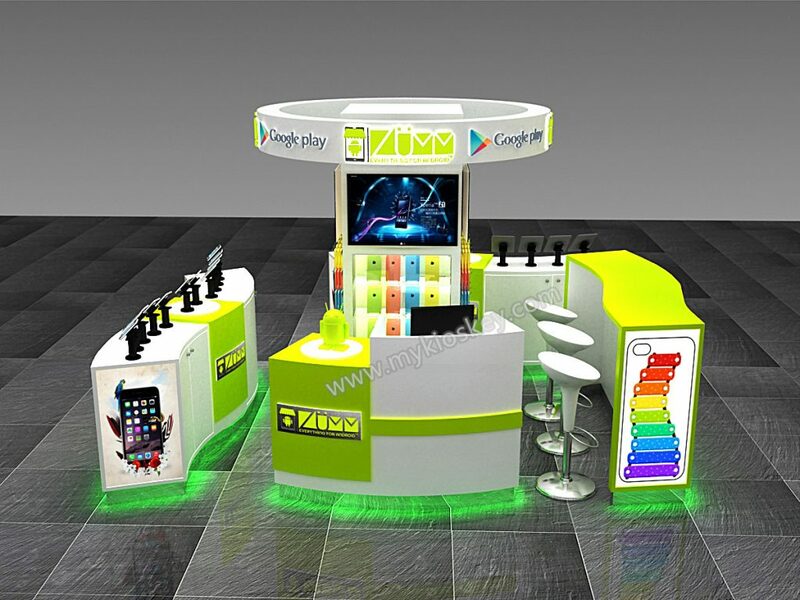 1-Contact our sales to discuss your specific requirement regarding the mall cell phone display stand.